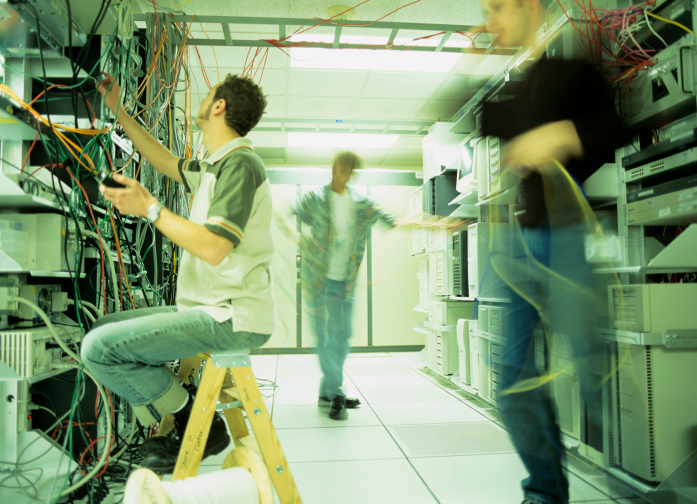 A data center migration is a large and challenging project. It’s best to plan ahead to make sure everything goes smoothly. Your data center is the foundation of your company’s entire infrastructure. If you need to relocate your data center, it’s imperative that it is relocated correctly and with as little downtime as possible. Companies that don’t work with you to migrate your data center during your off hours or that do a shoddy job just to get it done quickly are going to cost you down the road. The best way to handle a data center migration is to hire a reputable company with experience and to plan ahead to ensure the project goes smoothly. Here are a few things you can do to prepare for a data center migration. A diligent project manager knows how to plan ahead. When you are having your data center relocated, it’s best to plan the project budget, locate resources, and identify potential limitations. Doing these things early will help you as the migration progresses. If you are having your data center relocated, it is inevitable that you will experience downtime. When making your plan, it’s best to plan to do the migration during your off hours so that customers and employees are inconvenienced as little as possible. Migrating a data center is a complex project. One of the biggest risks of this project is an unplanned outage. To prepare for and minimize risks such as this, it’s important to consider your services availability and your data and hardware migration. The first official step of a data center migration is to account for all the various parts of your data center. This should include the hardware, software, network equipment, and storage devices. After you’ve created your inventory, our team will determine the interdependencies between all parts as we prepare for the relocation. When making your schedule, it’s important to account for unplanned delays. Hopefully, everything will run smoothly, but if there is an outage or an unexpected hardware failure, you’ll be glad that you padded your schedule with time for delays. Plus, if there are no delays during the migration, then you’ll be finished ahead of schedule! After the data center migration is complete, take some time to make sure that everything looks right and works accordingly. If you experience any problems after your data center migration, don’t hesitate to call FiberPlus! This entry was posted on Monday, April 25th, 2016	at 5:58 pm	. You can follow any responses to this entry through the RSS 2.0 feed. Both comments and pings are currently closed.